Good footwear for winter wear helps a lot to prevent serious falls and injuries. It’s a bit of a nuisance to wear proper winter footwear but we need to swallow some of our vanity and take the time to get better traction from good winter boots. Most of us have an obligation at law to keep the sidewalks in front of our homes clear of snow and ice. So to avoid getting sued, we need to shovel the walks and put down rock salt when necessary. Sometimes our sidewalks keep developing ice due to a misplaced drain pipe which keeps dripping water onto the ground near a sidewalk, so keep a lookout for that hidden source of ice. We continue to try and drive wherever we need to go and preparation starts with a good set of snow tires. Winter road hazards are many. Sometimes, in a whiteout, you can’t see a thing and need to find a way to get off the road without being rear ended. Even on a lonely road in winter, black ice or snow covered ice on the road can catch a driver unawares and before you know it you’re in the ditch wondering what happened. Winter also brings us winter sports, which are fantastic but also can have disastrous consequences. This sport brings us into the backcountry where we never get to go any other time of year. After having to help several injured snowmobilers over the years, I’ve preached what should be an obvious rule, namely… ALWAYS TRAVEL AT A SPEED THAT ALLOWS YOU TO STOP SAFELY IN THE DISTANCE YOU CAN SEE! This rule, if followed by everyone, would prevent the many accidents that seem to occur at or near the hills or curves which are found on our many groomed trails in the province. Today’s snowmobiles can travel at speeds well in excess of the 50-kilometer speed limit that exists on most of our trail systems. To be safe, do your best to slow down, and enjoy the beautiful countryside you’re blessed to see on your sled. Alcohol also plays a part in snowmobiling accidents and deaths, and so we all need to remember that the same rules for alcohol and the driving of cars apply to snowmobiles as well. This delightful sport also gets us out into the backcountry and yet every year we hear about skiing accidents often associated with speed or failure to pay attention to the many signs which populate the ski hills trying to enhance the experience safely. So pay attention to the ski hill’s signage and that will go a long way to make your experience a safe one. In my experience, skiing injuries often occur in the late afternoon or early evening when those leg muscles have lost their strength. In conclusion, don’t be afraid to go outside and enjoy this beautiful time of year. Just do your best to avoid injuring yourself as well as others. Bruce Hillyer is one of the founding partners of what is now Martin & Hillyer Associates. 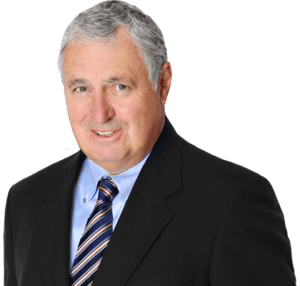 Bruce was called to the bar in 1972 and has over 40 years experience as a trial lawyer representing clients in the Burlington area. His practice is focused on civil and criminal litigation, with an emphasis on personal injury and insurance disputes.